Florida weather is hard on roofs, from torrential downpours to unbearable heat, roofs take a beating. 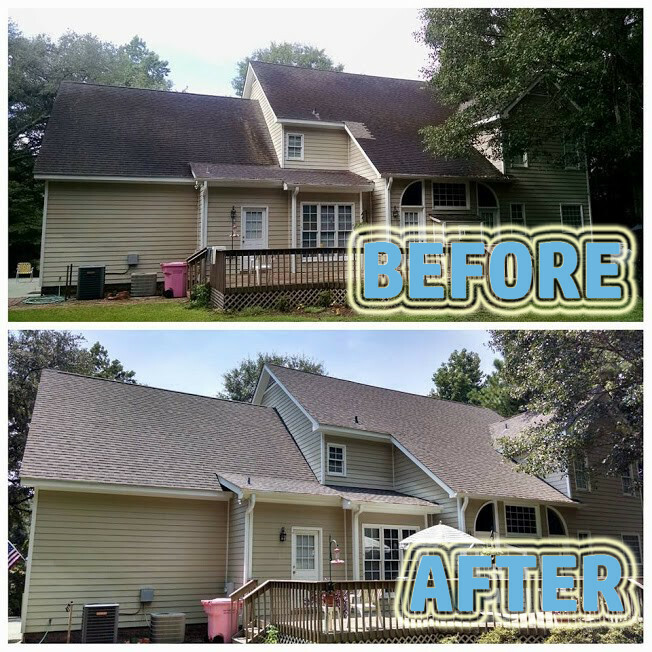 Roof staining organisms such as mold, moss or algae can eat through them causing black streaks, the wood to rot or for it to need replacement prematurely. A thorough roof cleaning can save homeowners thousands of dollars and even extend the life of the roof. When determining if a roof can be cleaned instead of replaced, professional roof cleaners will assess the roof to see if it has any of the following signs: composition of roof, missing shingles, overall age of roof, shingles missing or with no granules, tabs flipping up or rotted places, or brittle shingles. If your roof shows any of these signs, the roof would be best replaced instead of cleaned. Roofs with algae, moss, or streaks can benefit from a good pressure washing. Cleaning roof shingles offer some distinct advantages over replacement. First, of course is cost, cleaning a roof is far less expensive than replacing it. Professional roof cleaners use special cleaners formulated to enhance the look of the roof, so it holds its polished appearance longer. This is especially good if the homeowners are looking to sell their homes. 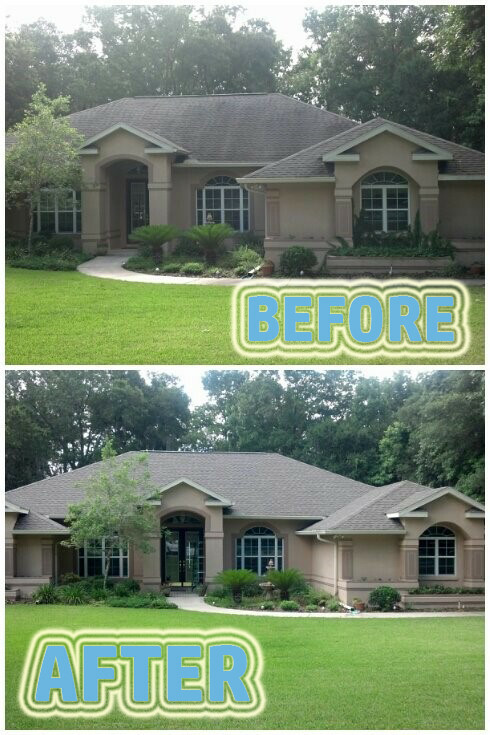 Using the roof cleaner every 18-36 months actually helps to protect the roof from mold and algae growth. Algae and mold can cause all kinds of added expenses for homeowners. Roofs are designed to reflect sunlight allowing the home to stay cool. When algae or mold take up residence on a roof, they inhibit the reflection of sunlight and act like a blanket over the roof. The heat has nowhere to go but down into the home; cooling costs are increased as the HVAC units must work harder to keep them cool. Cleaning roof shingles as we know, kills algae and mold organisms and therefore prevents damage such as rotting to the roof. Pressure washing the roof also helps to keep out the critters! Critters learn that the smell of rotting wood means food and shelter, so when they detect the odor or rotting wood on a home, to them it means basic needs will be met. Critters will typically will enter through the rotted areas in search of these things. It’s important that any areas of damage be addressed and repaired to avoid unwanted houseguests! Homeowners will look for roof products that include a manufacturers’ warranty when they actually replace the roof. Many of roof warranties require regular maintenance. If a roof has been deemed unmaintained, the provider does not have to honor the warranty. Homeowners are good at cleaning cutters and clearing debris from the roof, but often do not remove roof algae, mold or other damaging organisms. Lack of regular maintenance can also result in loss of insurance. Insurance companies see black stains, mold and algae as risks that cost added money if included in an insurance claim. License to Wash is Marion County’s premiere pressure washing company servicing both residential and commercial properties. You can reach us at 352-843-3354 or Contact Us.